Prime Time RVs for sale are built in Indiana, USA. 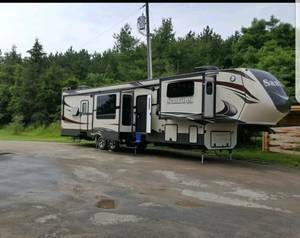 Prime Time designs and sells affordable Travel Trailers, Fifth Wheels, and Toy Haulers to camping and outdoor enthusiasts everywhere. Prime Time RVs pride themselves on selling quality RVs. You will find both new Prime Time RVs for sale and used Prime Time RV models for sale from these private sellers and dealers below.